Hit and miss BUT still good fun. 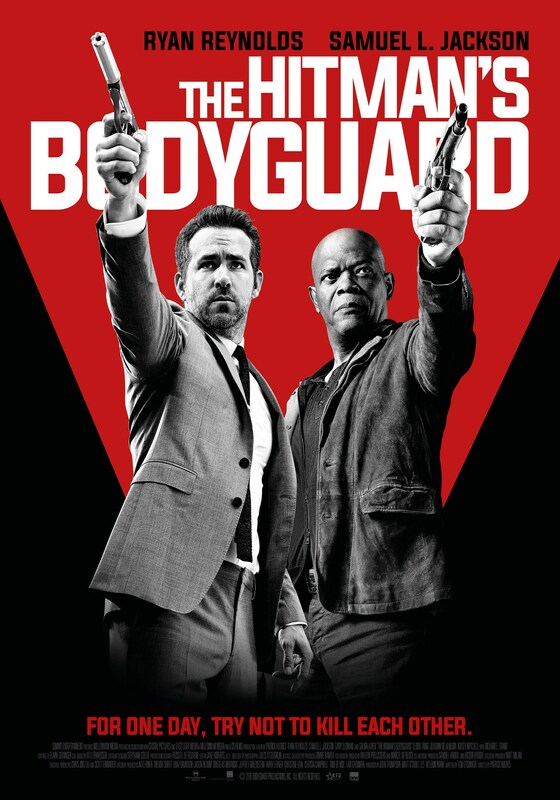 The world’s top bodyguard (Ryan Reynolds) gets a new client, a hit man (Samuel L Jackson) who must testify at the International Court of Justice. They must put their differences aside and work together to make it to the trial on time. Sometimes with movies like this, you just know what you’re going to get. A silly popcorn flick. It won’t win plaudits for plot and originality BUT if it does the job then what’s the problem? Reynolds applied his usual quick-witted shtick. I thought I’d be getting fed up of watching him in “Deadpool mode” BUT he still owns it. Even if some of the quips came off a little flat in places. BUT the main scene stealer was Samuel L (The “L stands for Motherf**ker”) Jackson. Cackling like a mad man and laughing at the ridiculousness of it all. He made this movie. If not for him, I don’t think this would have fared as well. Legend. The supporting cast was disappointing. More so with the characters than the performances. Did Gary Oldman even realise his character was a parody of himself? He played a cliche of his own evil Russian villain cliche. Yikes. The villain was too weak, even for him. He took the role far too seriously. Shame. I was hoping he could have lapped it up and poked fun at himself. Alas, it was not to be. We’ve seen this sort of character so many times before and done better . . . By the man himself. Even the fiery Elektra Natchios (Elodie Yung – Daredevil) was reduced to a schmaltzy scorned ex subplot. Her verbal sparring with Reynolds was corny and dull. There wasn’t enough Hayek. She was hilarious in the dreadfully small cameo. I would have been happy to have her on the road trip with the two hot heads. BUT then there wouldn’t be any incentive for Jackson’s character. I’ll never hear Lionel Richie’s ‘Hello’ in the same way again. A flashback to Hayek and Jackson’s love story had me in stitches. Their eyes met across a violent bar brawl. Brilliant. The inevitable backstabbing and “reveal” of the mole breaching security was mind-numbingly obvious. And the “twist” (or reason) behind Reynold and Jackson’s heated rivalry was predictable to boot. Thankfully the action sequences made up for the generic story line. The race through Amsterdam was riveting, utterly bonkers BUT entertaining to the max. Seriously, the punch ups were insane; especially Reynolds’ DIY store scuffle with a Goliathan mercenary. The humour delivered in parts. Some gags overstayed their welcome. Watching Jackson sing-a-long in a bus with nuns? YES! YES! YES! Listening to him share childish insults with Deadpool and singing over each other? Not so much. The action sequences were decent, the hokey plot was passable BUT the credit goes to the two leads who made a somewhat TV movie premise a little more than the generic mess it could have been. I just the pair could have improvised off the cuff a little more. It felt like the 15 certificate rating held them back.